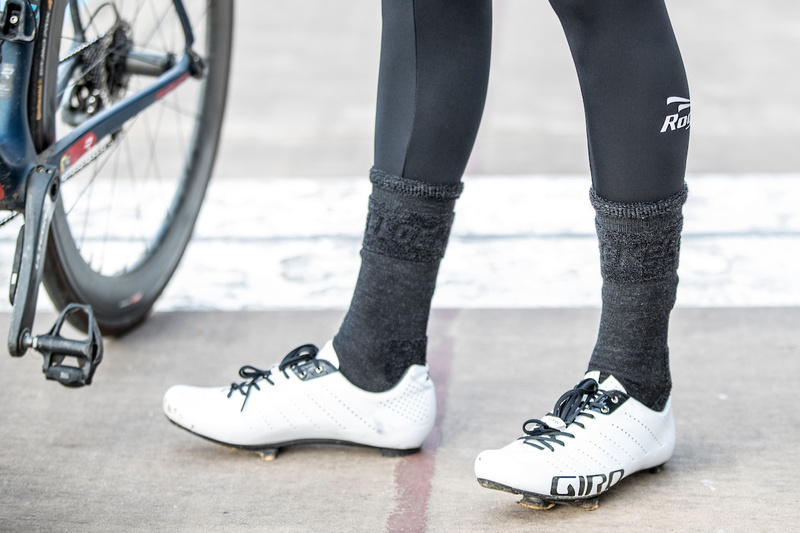 NEW: Merino socks! 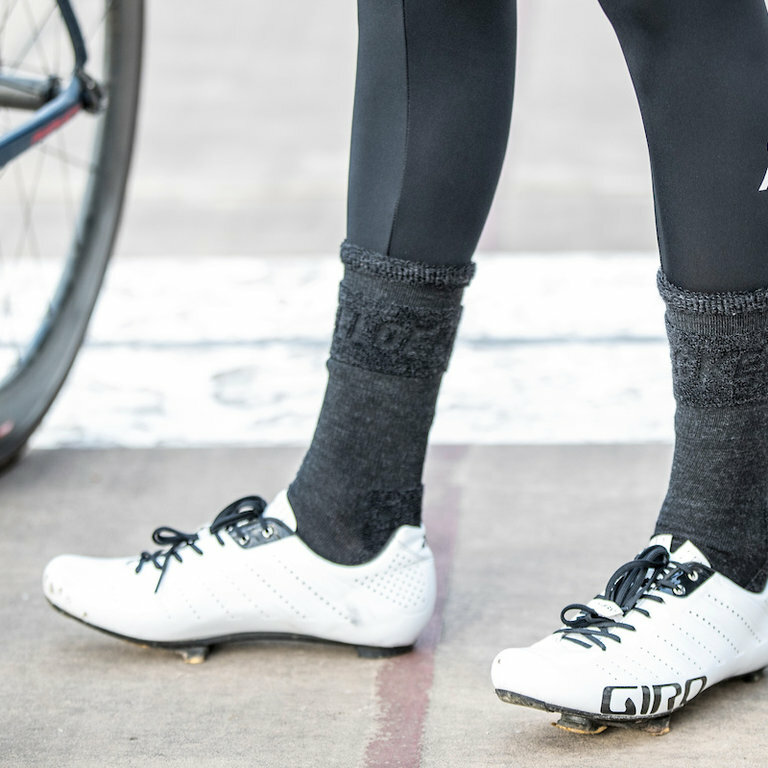 These socks consists of 60% Merino wool and is perfectly suited for wearing under your overshoes. Best fit and comfort guaranteed! 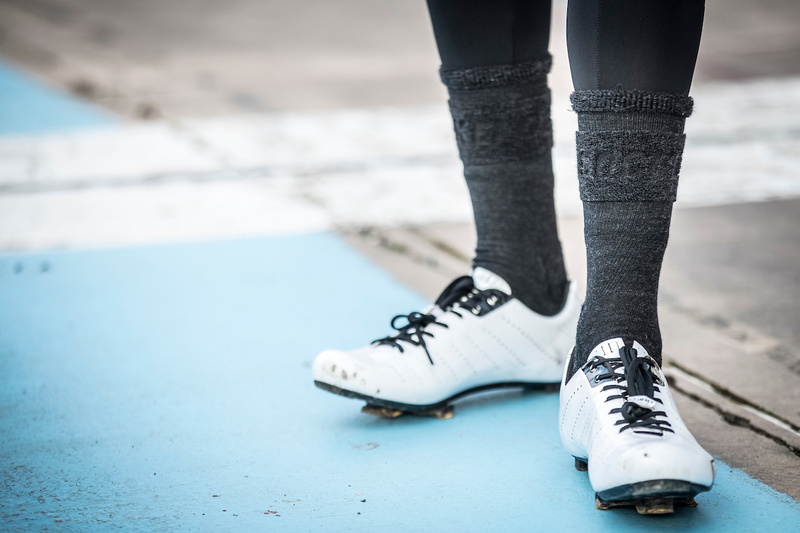 With the Merino socks you are assured of dry and warm feet. 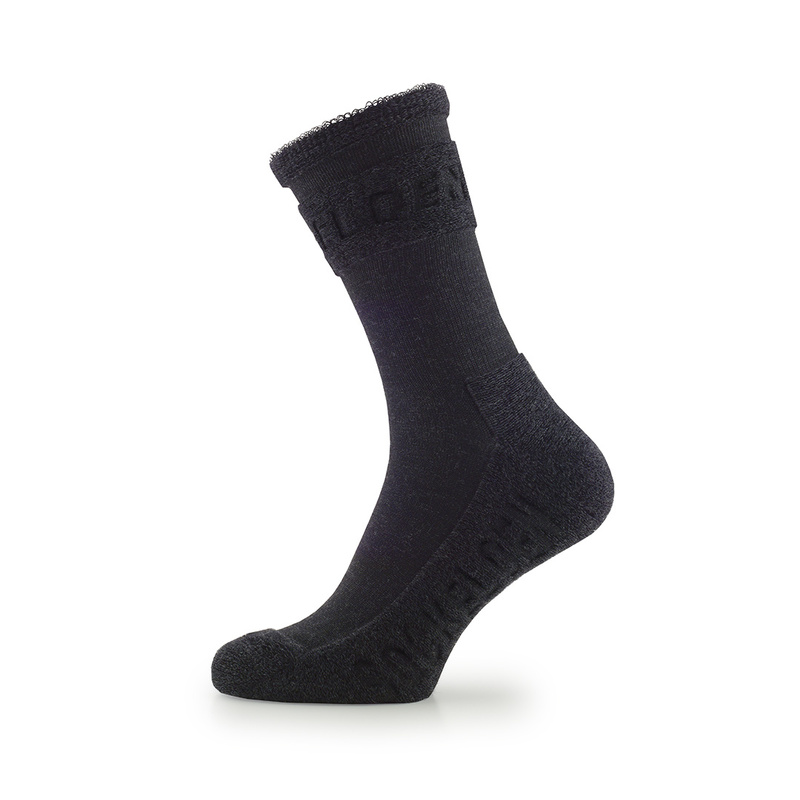 The socks are antibacterial and odor resistant. They feel very light and are soft on the skin. 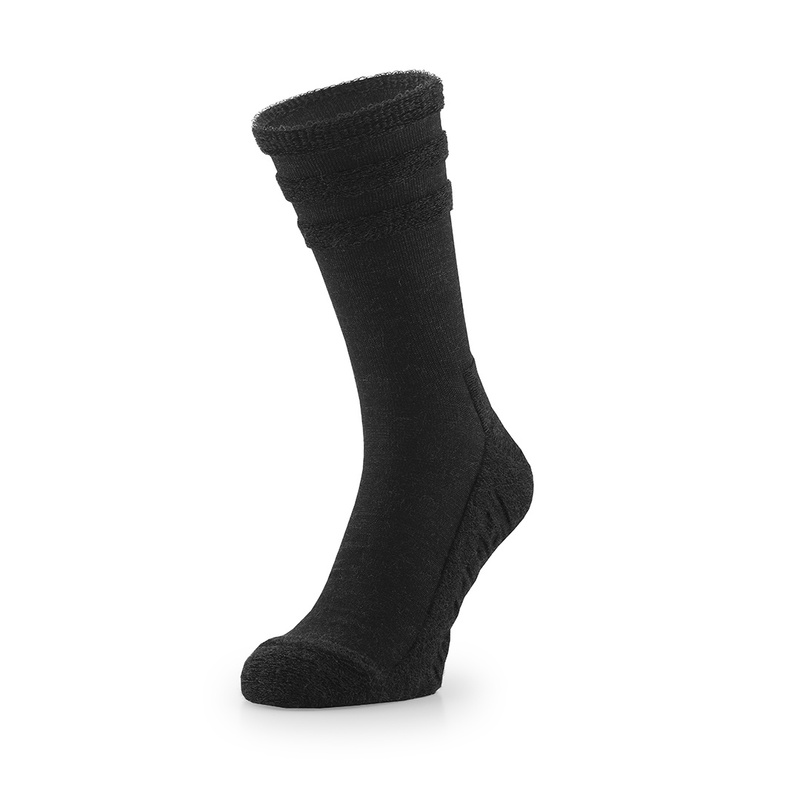 On the outside of the sock there is a Terry structure which ensures that your socks and shoes are not compressed. This structure makes it seem as if the sock is weared inside out. 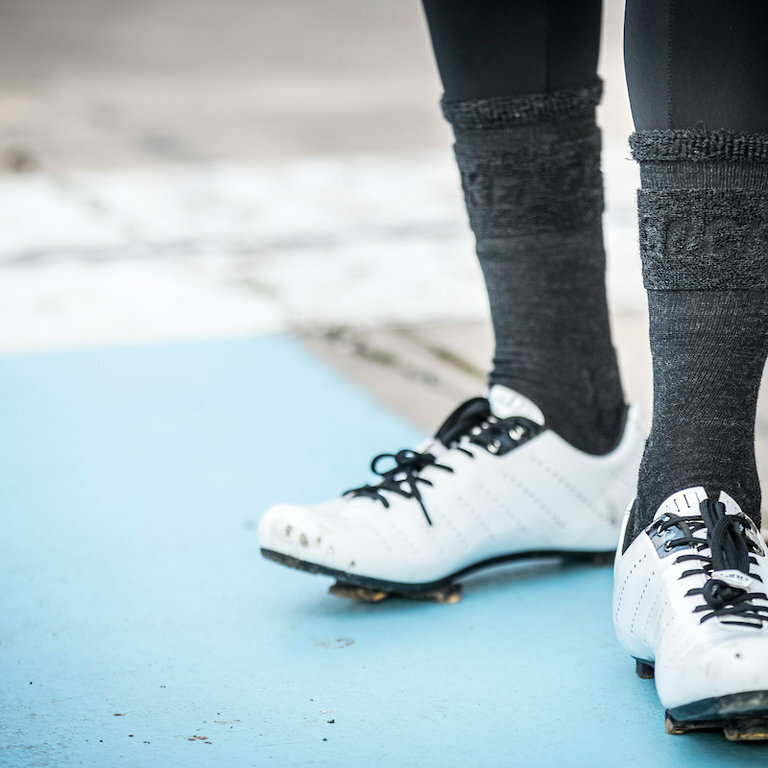 Merino wool doesn't get wet and breathes extremely well, so your feet will stay dry and warm during the ride!